Justin Theroux Spotted with Aubrey Plaza in N.Y.C. After Split from Jennifer Aniston - Integration Through Media ....! 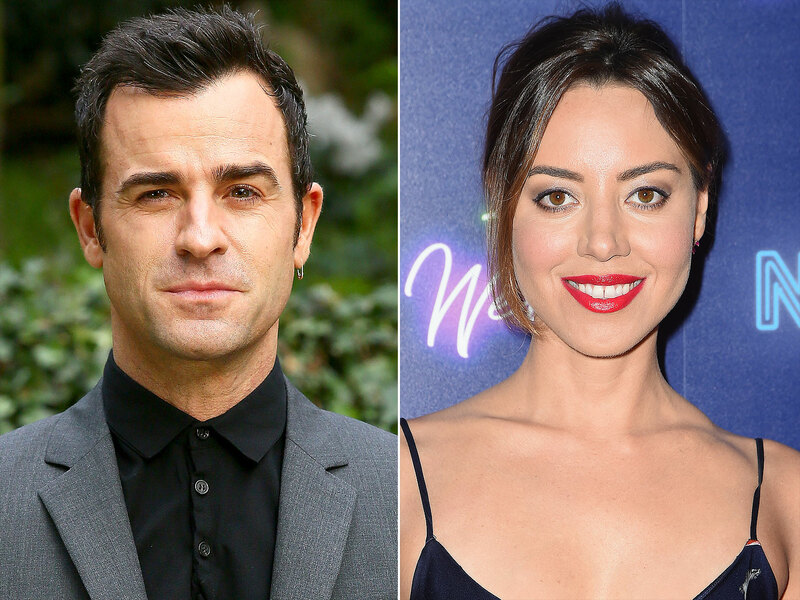 Justin Theroux is spending time with his old Parks and Recreation costar Aubrey Plaza. The duo, who appeared together in four episodes of the NBC comedy series in 2010, were photographed strolling in New York City and stopping by the actor’s apartment. “They met to discuss a potential film project,” a source tells PEOPLE. The Tropic Thunder writer, 46, guest starred on Parks and Recreation as Justin Anderson, the love interest of Leslie Knope, played by Amy Poehler. Plaza appeared in all seven seasons of the popular sitcom as fan-favorite April Ludgate. Both are also accomplished comedy writers. Theroux has been sticking to his normal routine since announcing his split from Jennifer Aniston last month, a source previously told PEOPLE. Earlier in the weekend, Plaza, 33, met up with some of her other costars from the show for the March For Our Lives protest in Washington D.C. on Saturday. The actress posed for a photo alongside Parks and Recreation alums like Natalie Morales, Paul Rudd, Adam Scott and Billy Eichner. Meanwhile, Theroux “has moved on with his life in N.Y.C.,” since his split from Aniston, a source recently told PEOPLE. Earlier in March, he was in Paris for Fashion Week, where he attended the Louis Vuitton womenswear show and spent time reenacting a Bachelor rose ceremony with longtime friend Carlos Quirarte. As for Plaza’s love life, the actress was most recently linked to Jeff Baena, who directed her in 2017’s The Little Hours, in which she played a 14th century nun alongside Alison Brie. Baena and Plaza first worked together on his 2014 zombie comedy Life After Beth.